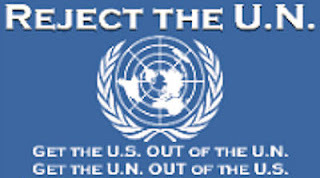 (Washington, D.C.) – Today, Citizens Against Government Waste (CAGW) named Housing and Urban Development (HUD) Secretary Julián Castro its February Porker of the Month for putting the taxpayers at risk for yet another housing-related bailout. On February 11, 2015, Secretary Castro testified before the House Financial Services Committee at an oversight hearing on the Federal Housing Administration (FHA). The hearing was convened two weeks after FHA, in response to President Obama’s January 7 directive, reduced its mortgage insurance premiums by 50 basis points, from 1.35 percent to 0.85 percent. The FHA runs a $1 trillion mortgage insurance program that traditionally provided coverage for low and middle-income first-time homebuyers. The agency is the largest single provider of mortgage insurance and has a 100 percent taxpayer-backed repayment guarantee should the homeowner default. In 2008, Congress “temporarily” increased loan limits for FHA insurance from $360,000 to $625,000 (where it remains today), which in turn raised the eligible income from about $64,000 to $110,000, hardly the low and middle-income homebuyers originally intended to be covered. While the FHA website states that it is “the only government agency that operates entirely from its self-generated income and costs the taxpayers nothing,” that is not true. According to the Congressional Budget Office, FHA estimated that between 1992 and 2012, its mortgage guarantees would save taxpayers $45 billion, but instead they cost $15 billion. FHA also received a $1.7 billion bailout on September 30, 2013. In addition, FHA is required to maintain 2 percent in capital reserves, which would be between $18 and $20 billion, but it only has $4.7 billion, or .41 percent. Ironically, on the same day that Secretary Castro testified, FHA was once again included on the Government Accountability Office’s High Risk List due to the agency’s “substantial growth in its insurance portfolio and significant financial difficulties.” FHA has been on the list since 2009. 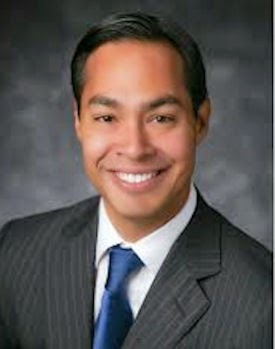 For planting the seeds for the next major housing bailout and failing the most basic financial transparency test about FHA finances, CAGW names HUD Secretary Julián Castro is February Porker of the Month. Tags: Citizens Against Government Waste, CAGW, porker of the month, HUD, Secretary, Julián Castro, putting the taxpayers at risk, housing-related bailout To share or post to your site, click on "Post Link". Please mention / link to the ARRA News Service. and "Like" Facebook Page - Thanks!